We don’t actually have Cornish Game Hens here in France. But we have little chickens or poussin. They are under a pound in weight, usually about 14oz (420gr) and are a perfect single serving size – with maybe a bit leftover for a snack. In summer we do them on the barbecue; in winter I roast them in the oven. If you’re looking for something special for a dinner party these are easy and impressive. 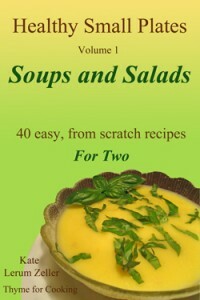 The lemon and herbs are tucked under the skin as well as used in the basting sauce. Tie legs close and bend wings around and under the back – so it looks like they are lying there with their arms akimbo. It keeps them from flapping and gives the hen something to rest on. Lay them on a rack in a shallow baking pan. Put hens into 400F (200C) oven. Bake for 50 – 60 minutes. 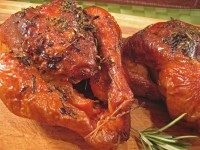 Remove hens, cover with foil to keep warm and let rest 5 – 10 minutes for the juices to sink back into the meat. Resting is important to keep any meat from being dry. Serve pan juices on the side if you like…. One of the first things I learned to cook was Cornish Game Hens. It’s the first ‘grown-up’ dish I learned to cook. I had already mastered spaghetti, pizza and tuna hot dish. It was when I was in college. One night, after, perhaps, a wee excess of beer, my friend and I we’re having a discussion with some fellow students. I don’t recall the details, or the reasons, but we ended up agreeing to clean their apartment in exchange for them feeding us. But we had to do the cooking, too. It was either a lot of beer or we really liked these guys to agree to something that one-sided….. In retrospect, it was all very unlike me. Although they did have to provide beer and wine as well as the food. The mother of one of the guys worked in a supermarket. She got a discount on ‘damaged’ food. She kept us well-supplied with Cornish Game Hen misfits: birds that were missing a wing or a leg. So, every Sunday, for one entire spring, my friend and I would spend about an hour cleaning this tiny apartment, followed by 90 minutes of cooking and drinking beer, then dinner. We almost always made Cornish Hens – roasted, spatchcocked and grilled, stuffed…. Whatever seemed like a good idea at the time. We learned a lot about cooking that spring and, if I remember right, it was mostly edible. Little birds became my dinner party specialty for many years. 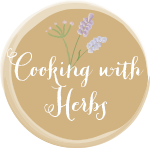 I’m joining Lavender and Lovage Cooking with Herbs Party this month. Most people do not have such an extensive and impressive Cornish hen cooking background. This to me is a most amusing story. I don’t even think I have ever seen one !! A funny story. I imagine every time you make the cornish game hens, it all comes rushing back to you. Every time I peel a potato I remember my Grandmother scolding my Mother for wasting half of the potato taken away with the peel. Kate, the little ones we get here area actually even smaller – perfect single servings. nightsmusic, I think in the US they’re normally frozen and not quite as common as they are here. And they don’t need to be complicated….. Tried your cornish hen recipe and can you say Delish?